EmblemHealth and its subsidiary AdvantageCare Physicians in New York announced that they are integrating a clinical artificial intelligence tool made by startup HealthReveal into ACPNY’s Epic electronic health record. Integrating the clinical tool into Epic’s EHR enables clinicians at customers such as ACPNY to receive what the company calls “reveals” in the workflow. Reisman described reveals as clinical guidance about conditions such as coronary artery disease, diabetes, kidney disease or heart failure and explained that two-thirds of reveals come from looking at the combination of clinical and claims data – not from an office visit. An example the organizations provided was an atrial fibrillation patient with elevated stroke risk for whom the clinician was considering a pharmacological regiment. The reveal recommended prescribing oral anticoagulation that, in turn, can reduce the risk by 66 percent. Artificial intelligence and machine learning are getting considerable attention in healthcare and other vertical industries these days. This week, in fact, the Centers for Medicare and Medicaid Services kicked off a developer contest in hopes of yielding new AI tools specifically for more effectively predicting health outcomes and improving care quality. And as we saw in our Focus on Artificial Intelligence, there’s plenty of room for cutting through the hype and uncovering the realities while new research suggests that big tech vendors are poised to beat healthcare entities at reaping the value of AI. What’s more, industry luminaries such as Dr. Eric Topol say that AI could fix healthcare in a meaningful way. 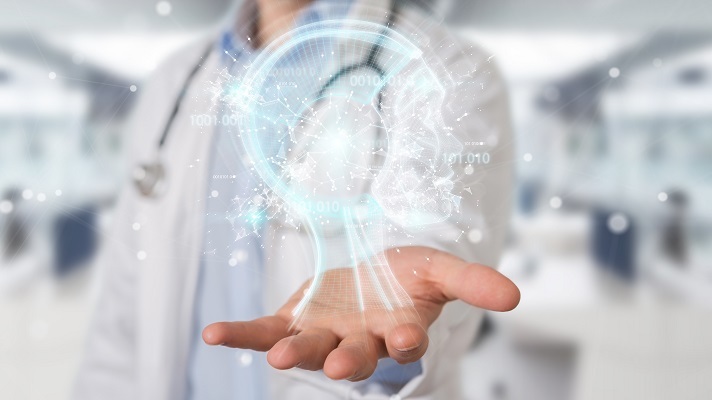 The deployment of HealthReveal comes after three ACPNY offices piloted the technology in 2018. EmblemHealth said it will roll the tool out to all ACPNY sites by May of this year.